DICTATOR is a worldwide group of companies with the main emphasis in Europe that has been providing operating solutions for industrial applications for over 80 years. Our headquarters is in Neusäss, near Augsburg, in Germany. DICTATOR products are manufactured within our own facilities across Europe. Over the years, the range of our products and services has expanded, often through the development of solutions to specific enquiries. From the outset, maintaining close links with our customers has been very important to us. We are since 1989 a partly owned subsidiary of DICTATOR Technik GmbH, Neusäß in southern Germany specialising in the manufacture of products that control movement, hence the company name "Dictator". Our most common products involve the control of opening and closing of doors with the most well-known product being, without a doubt, our door dampers or "Dictators" invented by us in 1932. Many of our Swedish and Danish larger companies have been customers for us for many years, well aware of what high reliability and customized solutions mean. We gladly tailor special solutions to your wishes from single units up to large series. 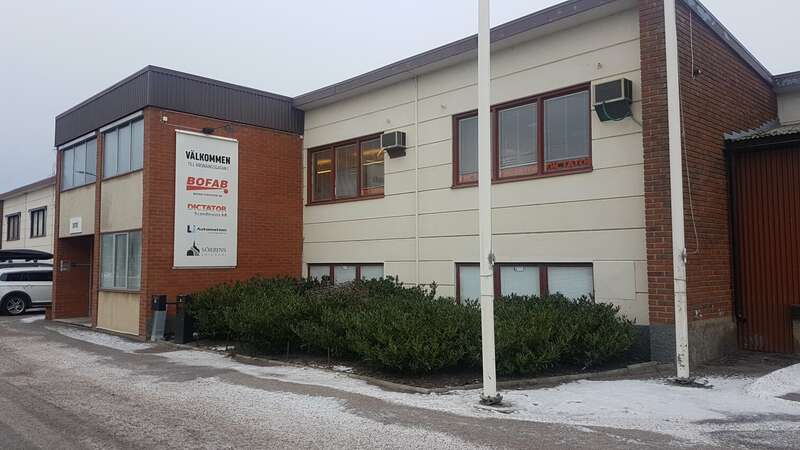 From 1989 the company was called Dictator Teknik Sverige AB and dealt with the Swedish market, early 2010 the name changed to DICTATOR Scandinavia AB and moved residence from Tranås to Vadstena. In January 2013 we became the supplier to all of Scandinavia focusing mainly on the Swedish, Danish and Norwegian markets. Responsibility of the business is with Ahron Sturm-Kimby CEO and co-owner with help from co-worker and former CEO/co-owner Torbjörn Ljunggren. Our whole product range is manufactured in Germany and Holland, meaning they are to the highest in world standards and reliability. With assistance from our German parent company we can now offer DICTATOR's entire product range in our market. We look forward to working with you to solve your problems with our inventive and exciting products. We pride ourselves on offering excellent service to our customers, and on providing sensible, down to earth advice. We'll work alongside you to deliver the best solution possible for your application, whether that's providing a standard off the shelf product, or developing a bespoke solution for complex projects. Manufacturing our own products has always been important to us and we will continue to invest in the latest equipment and systems, but above all we value the relationships that we form with our customers. We listen closely to our customers and work with them to deliver the answers to their problems - Dictator are all about providing solutions.